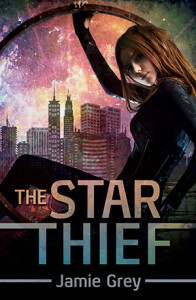 And now that the tour is over, the Star Thief Giveaway is also done! I’m blown away by everyone’s interest and so excited to finally announce the winners! So without further ado…..
Ebook Winners: Stacie McAdams, Michaela Trott, and Celestia Anderson. And the winner of the Grand Prize of a signed copy, Star Scarf, and Amazon gift card: Michelle Gilmore! Conal and Michelle – could you please email your address to me at greyjamie1 (at) gmail (dot) com? I’ll get your prizes sent out right away! Thank you all so much for making this such an amazing launch! And I hope you’ve enjoyed THE STAR THIEF excerpts, interviews and posts. I can’t wait to continue Renna’s story with you! If you’d like to know when ATHENA’S ASHES is out, or would like an occasional update, please sign up for my newsletter in the sidebar!